Sheriff Ken Mascara says something's got to give! He said his department needs an extra $3,000,000 dollars to put deputies at every school, part of a state mandate and if he doesn't get that money community safety could be at risk. "That might be less deputies patrolling neighborhoods, running radar, our marine unit we are going to cut back and our aviation unit we are going to cut back," said Sheriff Mascara. Sheriff Mascara went to county commissioners Tuesday asking for them to increase the millage rate to come up with the 3 million needed. 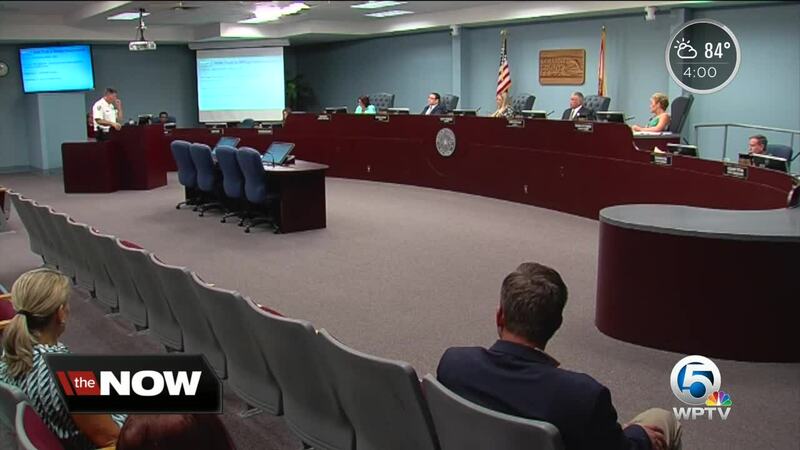 “If we continue to increase the millage rate every year within the next 3 years we will be maxed out on our millage rate and then what will we do?” said Commissioner Cathy Townsend. 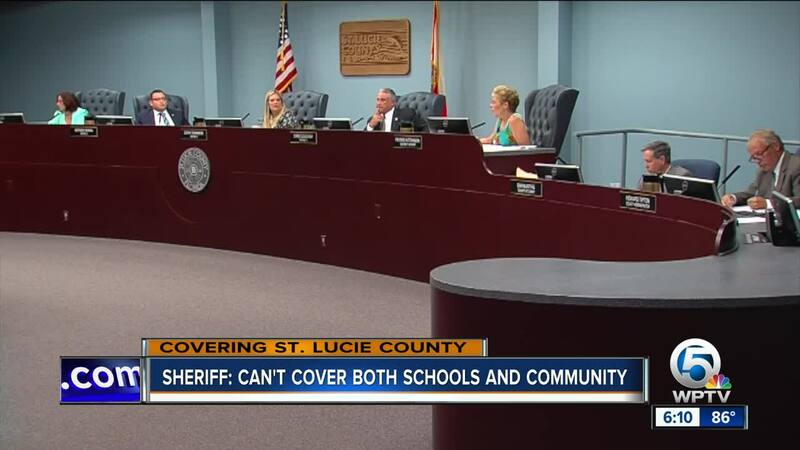 St. Lucie shut down Sheriff Mascara’s proposal instead telling the sheriff to look to the school board and local municipalities to come up with the extra money by August 13. “It shouldn’t always be on this board to have unfunded mandates met and to continue to carry the school resource officers,” said Townsend. 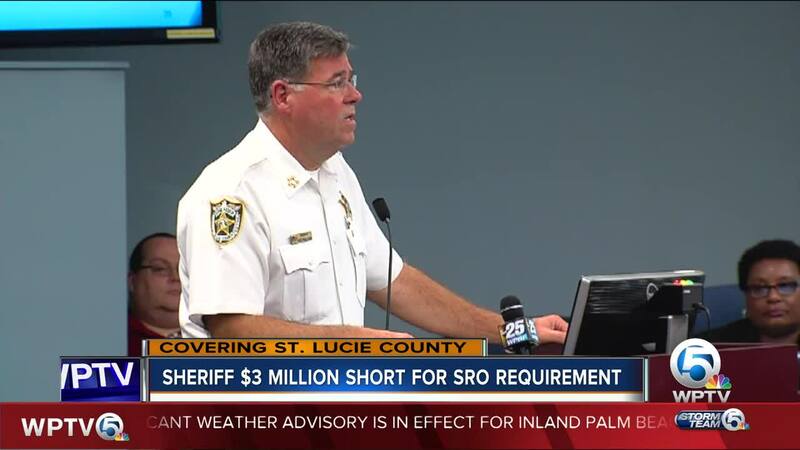 Commissioner Frannie Hutchinson offered to go with the sheriff to Fort Pierce and Port St.Lucie to ask for the money. “I will be more than happy to accompany you in going to them, the city managers and the mayors and asking for their support,” said Hutchinson. However, Sheriff Mascara said time is running out with only 3 weeks left until the first day of the 2018-2019 school year. The state mandate requires hiring 28 school resource officers. Sheriff Mascara said he’s already reassigned 13 within the department to fulfill this requirement, and he went ahead and hired 15 news deputies. “The safety our of children in our community is paramount not only at school when they are not in school it’s paramount,” said Sheriff Mascara.